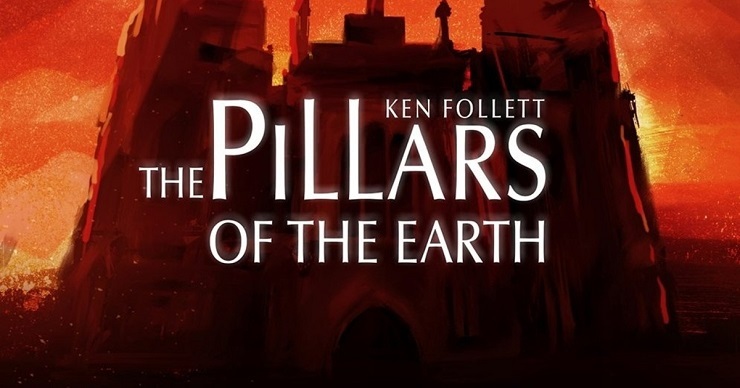 Ken Follet’s medieval drama The Pillars of the Earth is widely regarded as a literary classic, telling the tale of the construction of a grand cathedral in the fictional town of Kingsbridge, and the lives it impacts over the course of several decades. It’s not an obvious choice for a point ‘n’ click game, to be sure. It’s fairly sedate, even with the various family dramas, deaths, illnesses, fires and catastrophes that occur – but strangely it works. Daedelic have used a template very similar to Telltale, splitting the epic novel into three “books”. You begin as Tom Builder, a man with no money but great dreams, who believes he was put on Earth to build a Cathedral. Arriving on Kingsbridge to take a job mending roofs and fences, Tom’s story is tinged with tragedy from the start. I won’t spoil anything, but it’s rarely a very cheerful story. It’s rarely cheerful at all, to be honest, but it is masterfully told all the same. The voice acting and script are both very good (though the former has ups and downs throughout), while the stylised aesthetics are incredibly atmospheric and beautifully designed. 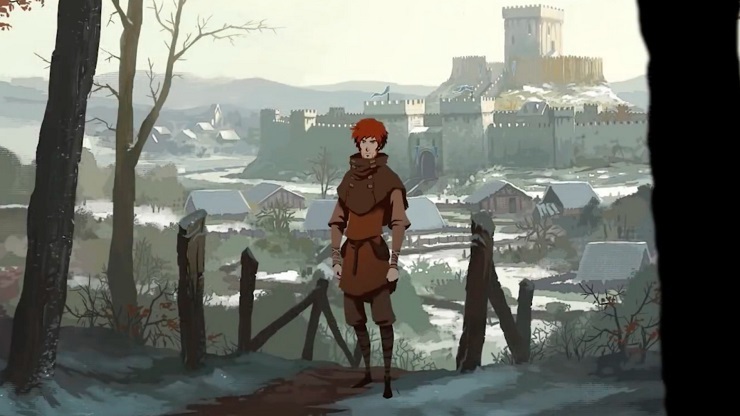 It’s not a particularly mobile game, with mostly static environments and minimal character animation, but what’s on offer is more than enough to convey the struggle and drudgery of the 12th Century. 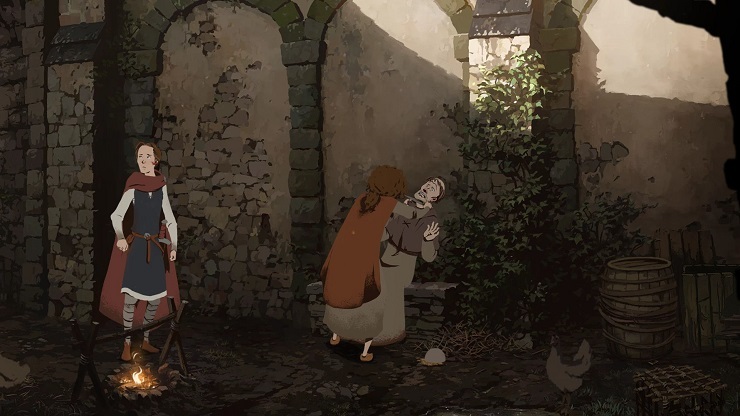 Of course, that’s the whole theme of Pillars of the Earth: mankind’s struggle to touch the face of God, to be nearer to His presence. It’s what drives Tom and those who share his dream. Rising above the muck and mud to build a place of true worship was as noble a cause as existed 800 years ago, and The Pillars of the Earth perfectly encapsulates that struggle. Some of the puzzles scattered throughout the narrative are simple enough, but some can be taxing, requiring you to examine your surroundings and inventory to find the solution. Items in the world can usually be inspected, picked up or combined for various results. Exploration is essential but not often deep, with some environments offering a few adjoining screens but no way to really go off-script. Different playable characters will often have to backtrack over each other’s foot prints, which can yield different results. There are quick time events and conversation choices, but similarly to Telltale games, sooner or later the story course-corrects to get your choices back on track. There is player agency, but you can’t greatly alter the larger events. 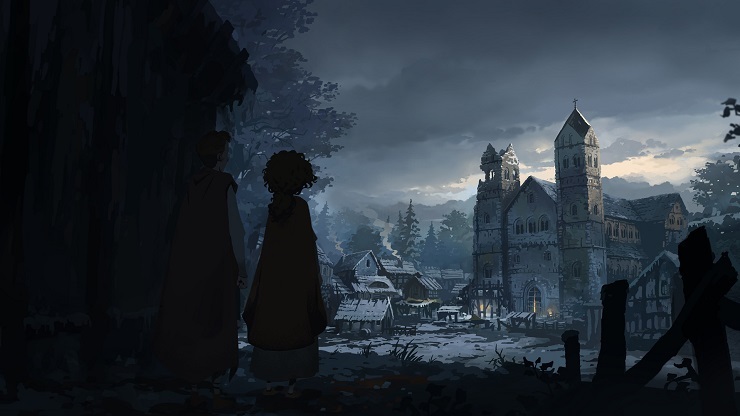 The Pillars of the Earth isn’t an exciting game, but it is a gripping game, repeatedly hitting you with decisions that, in the moment, feel essential and drawing you into its narrative. At times, it’s tedious, and can feel as though you’re going through the motions until the next story beat hits and you have something to think about.